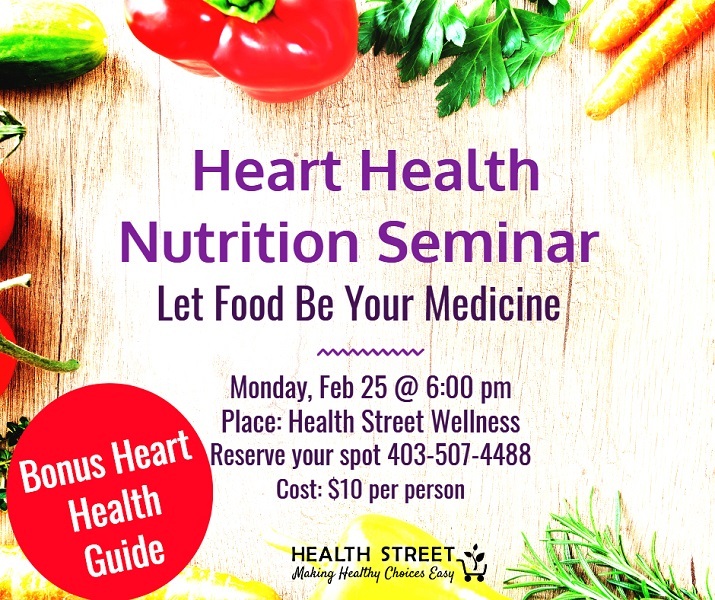 To Register for our events please call us at 403-507-4488, email us at info@healthstreet.ca or click on the links if provided. It's always a good time to improve your heart health. We want to invite you to our next exciting nutrition seminar. Check your internal age with our new iHeart Testing Device...FREE! 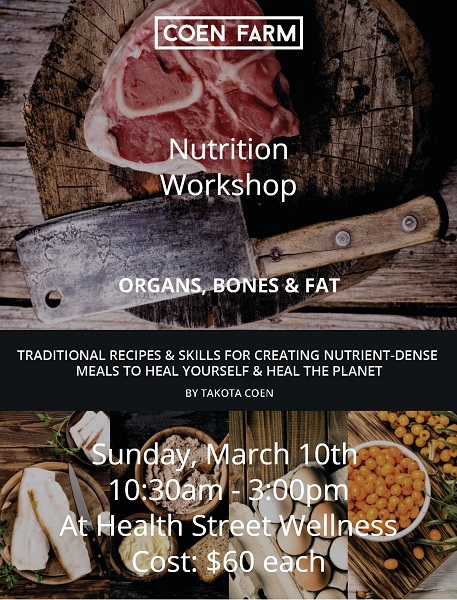 Learn how to improve the health of your heart and cardiovascular system by knowing how your food can either heal OR hinder your health. The great news is that the same great nutrition guidelines that help you with heart health also helps to improve your overall health, increases your energy, boosts your immune system, improves your skin health and reduces dependence on prescription medications! Be smart about your heart and learn what you can do to improve your heart health naturally. 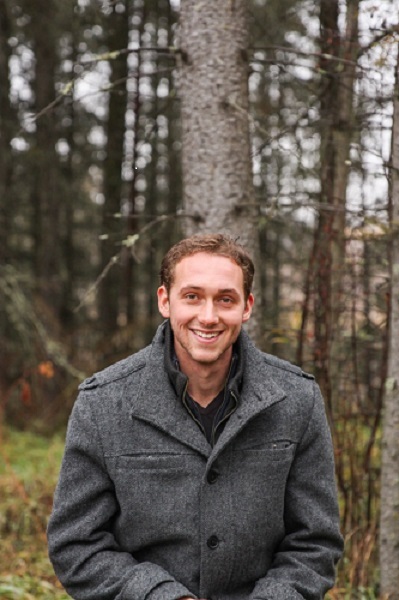 Get control of your pain using natural herbs and methods that help you deal with the ROOT CAUSE instead of medications with harmful side effects. Arthritis can be painfully debilitating and often disrupts the quality of life for those who suffer with it. 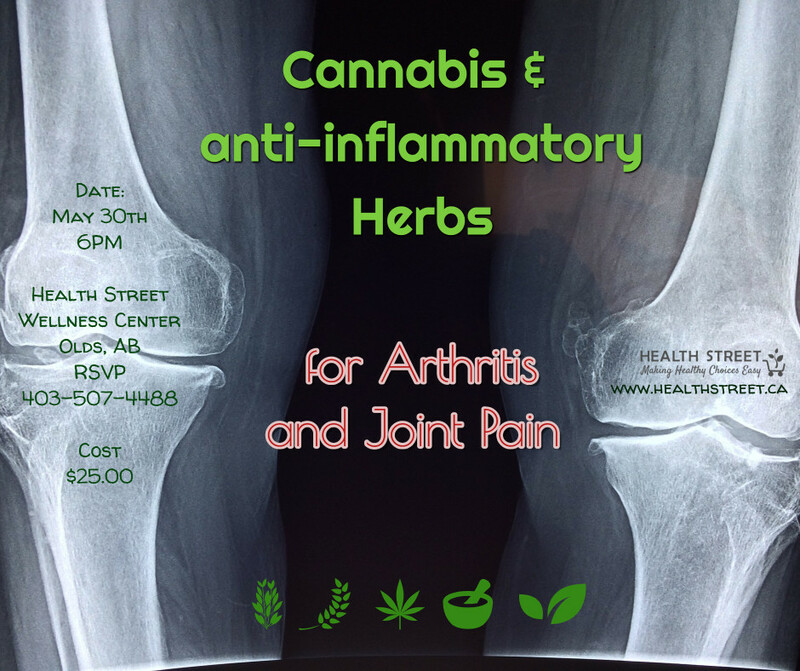 Join guest presenter Certified Clinical Herbalist Jazz Mattu for this upcoming event where he will discuss the art of dealing with pain and arthritis using natural herbs and techniques you you wouldn't find with conventional medicine. • How does Cannabis work and does it offer a good solution? • Which high quality natural supplements will reduce pain and improve joint mobility and quality of life. Everyone who attends will receive samples, recipes and tons of valuable information to help deal with arthritis naturally. Everyone can make a smoothie by just throwing stuff in a blender, but is it always healthy? Does it serve your nutritional needs? Is it delicious? Does it contain the proper ingredients? Is it being digested properly? Do you know how to drink a smoothie to get the most out of it? Learn how to make healthy and delicious smoothies that your whole family will enjoy with your local Certified Holistic Nutritionist, Rick Kohut. Smoothies are a great way to pack dense nutrition into a delightful and convenient package that is easy to drink and easy to prepare. Learn the most important nutritional guidelines when making smoothies and how to ensure your smoothies are packed full of the nutrients to keep you going all morning or afternoon. Sample some of Rick and Angela's favorite smoothie recipes while they demonstrate how to create summertime smoothie mastery! They will teach you how you can make delicious fruit and green smoothies and even smoothie pops that everyone will enjoy all summer long. • How to get the kids to absolutely love your smoothies! Attendees will receive recipes, samples and a chance to win some cool door prizes. 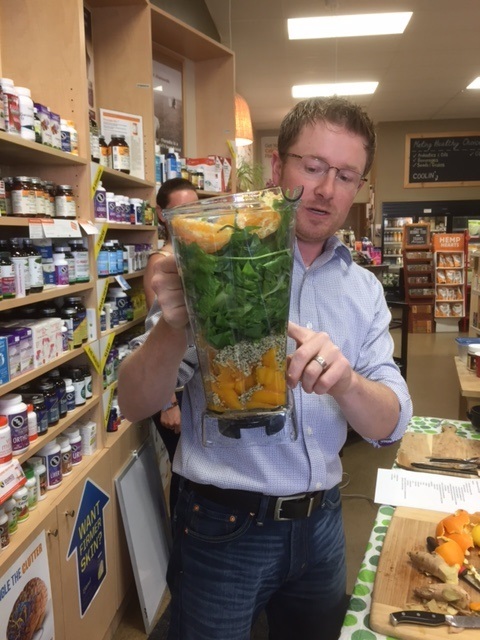 Smoothies can be packed full of nutrition without compromising taste, come and learn how!